First time exam and consultation are FREE! Both new and old patients can enjoy this promotion of FREE exams and consultations. Exams/Cleanings/Necessary X-Rays are bundled into a $55 package! 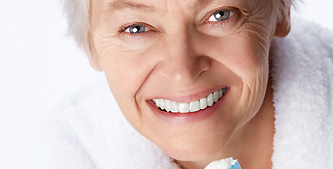 Patients enjoy a $50 reduction when spending over $250 on any dental services! Happy Smile Family Dental is committed to providing exceptional care that addresses both your short-term and long-term oral care with the compassion and respect you deserve. We are providing comprehensive treatment and skilled dental services that promises your great care and for sure happy smiles. Veneers are thin but thicker then lumineers, custom-made shells that attach directly to your teeth. The American Dental Association (ADA) says that 7 out of 10 adults has some form of gum disease. When left untreated, gum disease can contribute to missing teeth as well as other health concerns like diabetes, stroke and heart disease. Regular visits to Spink Dentistry can help to reduce the build up of plaque and tartar and prevent the spread of gum disease. 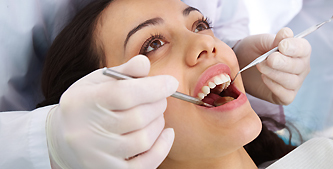 Learn more about gum disease. At the Happy Smile Family Dental, we offer comprehensive treatment to the patients with bad breath. Ask us how we may be able to help you. For the millions of Americans who suffer from it, bad breath is an extremely embarrassing problem that detracts from a person’s confidence. This condition can be temporary or chronic. Regardless of how severe it is, there are treatments available that can eliminate bad breath. Why should I have my teeth cleaned more than once a year?